Chance Thomas’s career as a composer began over 20 years ago, and has featured diverse projects in video games, movies and TV. His reputation was forged through his work on A-list titles including DOTA 2, James Cameron’s Avatar, Peter Jackson’s King Kong and X-Men. Chance has an uncanny ability to identify the unique DNA of each project, to internalize it and to then adapt it to his own universe. This is evidenced by his compositions for Lord of the Rings Online; Chance immersed himself in the writings of J. R. R. Tolkien for several years to evoke a style and palette of instruments to set the mood and structure of his future compositions. His film and TV projects include the short animated film The ChubbChubbs! (which won an Oscar™), the movie Rise Above the Blues, the TV series Lost Treasure Hunt (both winners of an Emmy™) and the US talk/news satire broadcast, The Daily Show. 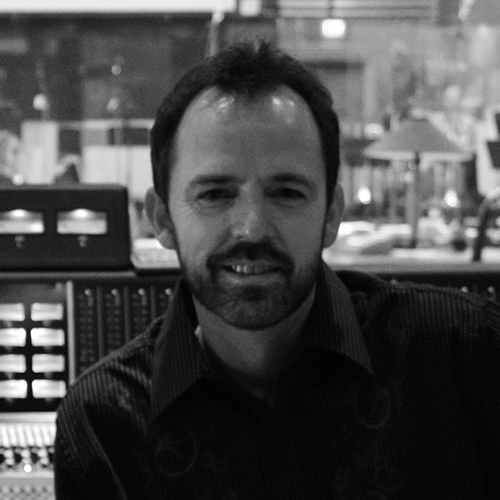 Chance Thomas is also one of the pioneers in the creation of music for video games. In 1997 he incorporated one of the first adaptive music systems and new techniques in interactive sound into his projects. He also composed one of the first original orchestral soundtracks for a video game (Quest for Glory V). In the late ’90s Chance Thomas was part of a major movement to include music for video games in the Grammy Awards™. His compositions have been acclaimed in the New York Times, USA Today, Business Week, Entertainment Weekly and many other international publications, earning him several of the industry’s most prestigious awards and nominations. You wish to collaborate with Chance Thomas?